Carolyn Layne and Jean Hall were standing in the church parking lot telling The Journal how thieves had stolen $1,000 worth of meat meant for the needy when something unexpected happened. Just then, Kyle Deloof pulled up in a truck and the owner of Davy Jones Quality Meats offered to donate enough meat to fill the church’s large freezer. “I heard what happened and it broke my heart,” Deloof said. For the Church of Jesus Christ of Latter-Day Saints, it felt like Christmas came early. 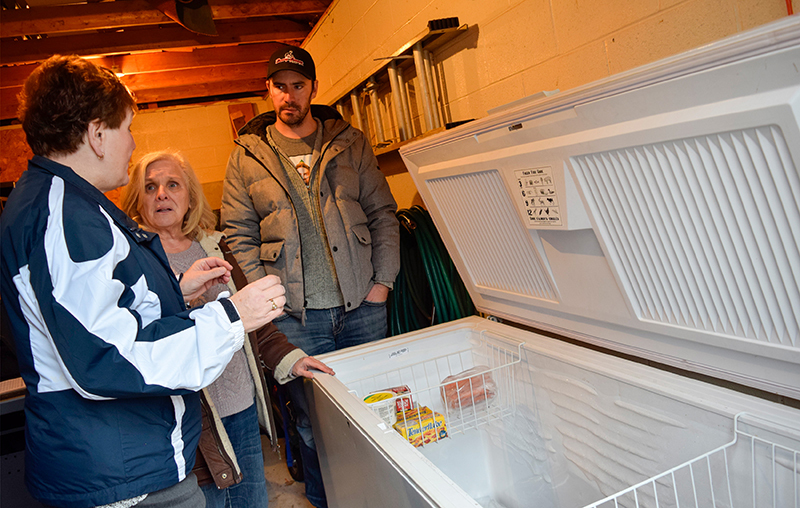 Meat used to feed 100 or more people each month at the Inn of the Good Shepherd disappeared from its freezer sometime between Nov. 22 and 24. Also missing was ground beef donated by the church’s relief society to feed teens at The Hub. When she approached the shed she realized the bolt had been pried open. Missing were 37 pork loins, 11 packages of ground beef and two turkeys. All that was left was a pack of wieners and a single turkey. Layne prides herself on using church donations wisely and buying meat only on sale. She had stocked the freezer with six months worth of meals. Police were called, but there are no leads so far. The church is generally quiet about the work it does in the community, said member Brad Fickling. But in this case he wanted to warn others about the robbery. Layne said church members planned to prepare the next meal at the Inn on Dec. 21 by stretching resources and making Shepherd’s pie instead of pork loin. But after Deloof’s generous offer, the meal program is back on track. “Deep down I didn’t want to say too much about the theft because it was a story of grief,” said church Bishop Andrew Withers. Lester Farms near Brigden has also stepped up with a turkey, and other donations have come in to assist the meal program for the needy. If the church gets more meat than the program requires it will help other agencies, Withers said. The shed doors were repaired but all food donations are now stored at another location, Layne added. 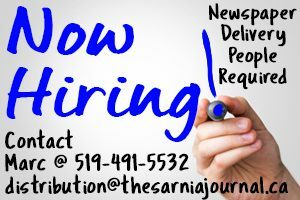 Anyone with information about the theft is urged to anonymously call Sarnia-Lambton CrimeStoppers at 1-800-222-8477.